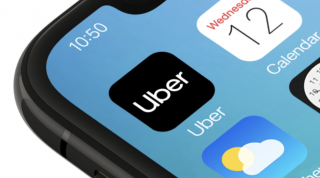 Uber's new CEO, Dara Khosrowshahi, has been all over the media trying to rehabilitate Uber's reputation by telling us that Uber cares and will make things right when they go wrong. This is great spin, but is it really true? If my experience with Uber, lately, is any indication, it's not. It's business as usual at Uber. Have you ever contacted Uber's customer service? First, you can't do anything except send a message with the app, but even then, you are constrained in your topics and ability to do so. Often, to get someone to read your issue, you have to select an irrelevant topic. Once making it past that hurdle, you then send your message and wait for the inevitable misunderstood response. I have honestly never sent a message to Uber in which the response was in any way relevant to my actual complaint. Once going back and forth for the better part of a day with Uber, one may get a response that is aligned to the subject, but there's no guarantee there. In my latest interaction with Uber, I requested a ride while in San Francisco. The app told me the wait would be about 8 minutes, and I waited while watching the car make its way to me. Once it was near, it was clear that the driver was going the wrong way and would never be able to reach my location. Sure enough, as the app was telling me that the driver was arriving, the car disappeared and the app told me that the driver had to cancel. Just like that. I had to start over, wait another ten minutes and then... same thing. Driver cancelled. The third time was a charm, some half-hour after I'd requested my first ride. I contacted Uber and explained the situation and the response to me was that I should be fine, I wasn't charged a cancellation fee. I explained that it was the driver who had cancelled and noted that had I cancelled, I would have been charged $5, but when a driver does it, there's no consequence. The response I received asked me for a screen shot of the $5 charge I incurred. After going back and forth, I finally managed to explain what happened and was then told that this is the policy and there would be no refund. Not even an apology. So... Dara? How is this "making it right?"